It is Friday and time to get the weekend started. 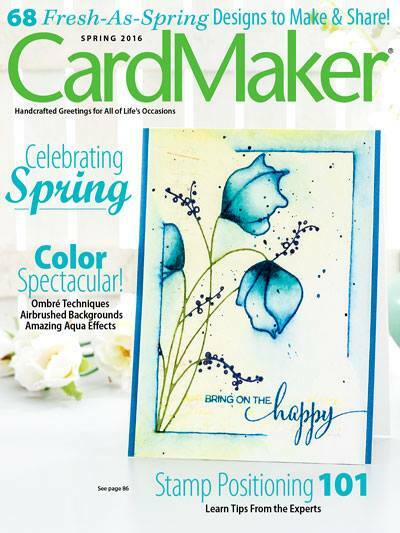 Now that I have received my Happy Mail from Penny Black, expect to see Christmas cards galore on this blog....(let's all sing) It's the most wonderful time of the year! My good friend Judy and I swapped die cuts this week and I LOVE the Tagged die from Penny Black, so I had to use it today. Main card was stamped with Decadence using Memento Bamboo Leaves & Pistachio. 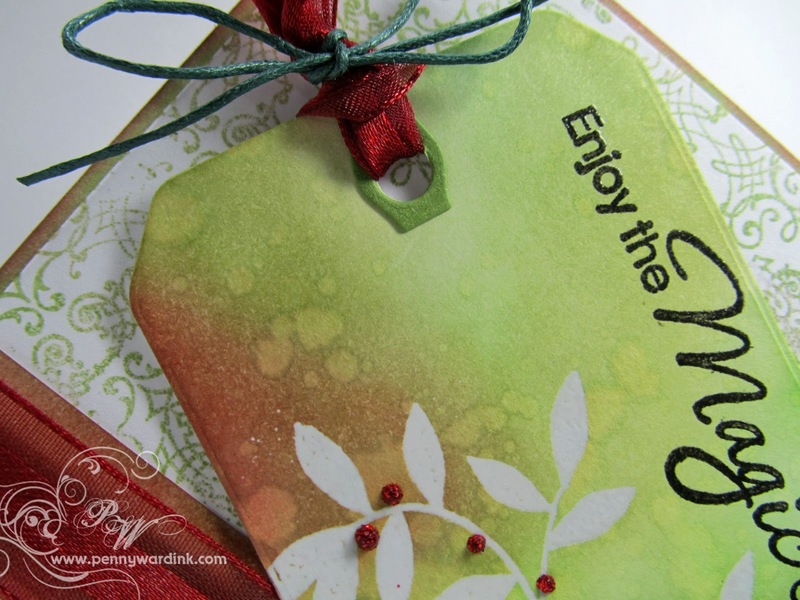 After cutting the tag, I stamped and heat embossed with clear powder using the Christmas Reds & Greens stamp. Inked with Memento New Sprout, Pistachio & Bamboo Leaves...also added a swipe of Lady Bug. Then I threw water on the tag to get those wonderful spots I love. Sentiment is from the Yuletide Greetings set. 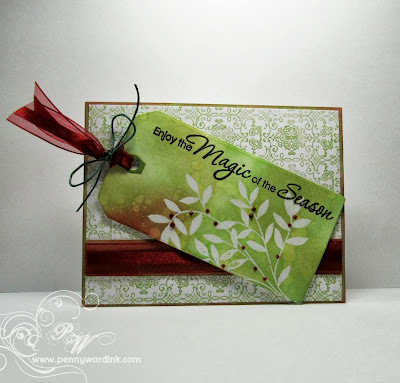 This card is entered into the ANYTHING GOES challenge at Simon Says Stamp. It is Friday and that is when I recognize all new Followers of this blog. I love reading your comments and answering your questions. How awesome!! 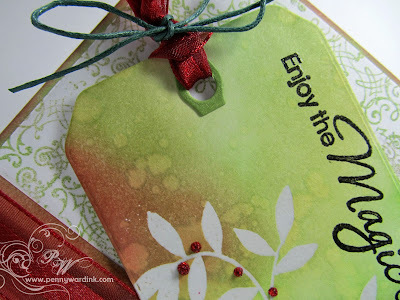 I never quite knew what to do with tags ... obviously, you do!! Love the colors. Perfect Christmas card. I think I need to get busy!! This is SO pretty! Your tag is just gorgeous! Thanks so much for playing along with us over on the Simon Says Stamp Wednesday Challenge !